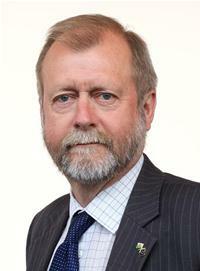 The Minister for Communities and Tackling Poverty Jeff Cuthbert will remember all who were affected by the First World War in Grangetown, Cardiff at a memorial service today (2 August). The service is one of a number of engagements Welsh Government Ministers are undertaking over the next few weeks to mark 100 years since the outbreak of the First World War. The Minister will give a reading and lay a wreath to pay tribute to local people who were affected by the First World War. “The community of Grangetown, like most communities in Wales, was affected greatly by the First World War. The Grangetown Memorial lists 330 servicemen and women who were killed during the War, including a merchant seaman as young as 14 years old. It is very fitting, as we approach 4 August, and the centenary of the onset of War, that we will come together to pay tribute to those brave men and women from Grangetown who took part in the War. “This is one of many events that will be taking place across Wales to mark the centenary of the onset of the First World War and its transformational impact on modern Wales. 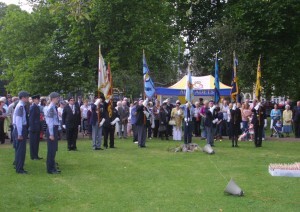 The memorial service at the Cenotaph in Grange Gardens has been organised by Grangetown Local History Society. A First World Ward military exhibition will be opened at 1pm, ahead of the service which begins at 3pm. The Minister will join the Lord Mayor of Cardiff and representatives of the Army and Royal British Legion. A poppy will be laid at the Memorial for each of the names listed on the Grangetown Memorial, and a number of family members of those listed will attend the service.